A video of Ugandan President Yoweri Museveni addressing his country live on television has become viral on the web and also subject to criticism. 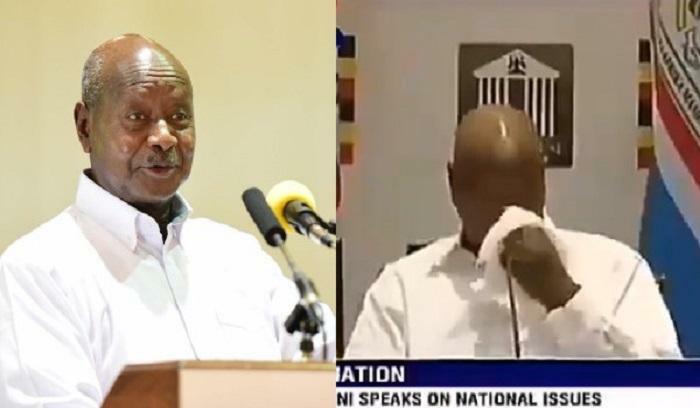 In the video, the president whose sources report being moved during his speech on the state of the nation, is seen cleaning his nose with a handkerchief and spitting into another, and all this in live on national television. Many people who have seen the video have been disgusted and are even more shocked than it was on live TV. Most of them described his gesture as disgusting and disrespectful to the Ugandan nation.